The WRAP Club provides facilities for the daily care, recreation and education of children out of school hours. 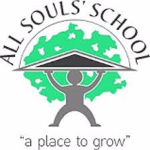 The club is held at All Souls’ CE Primary School and is run by a team of trained staff who are employed and managed by the school. Please contact the school for current vacancy details.